The fields of translation and interpretation act as key bridge builders that enable knowledge transfer between strategic players, allowing social development to flourish and paving the way forward for an enriched knowledge-based economy. 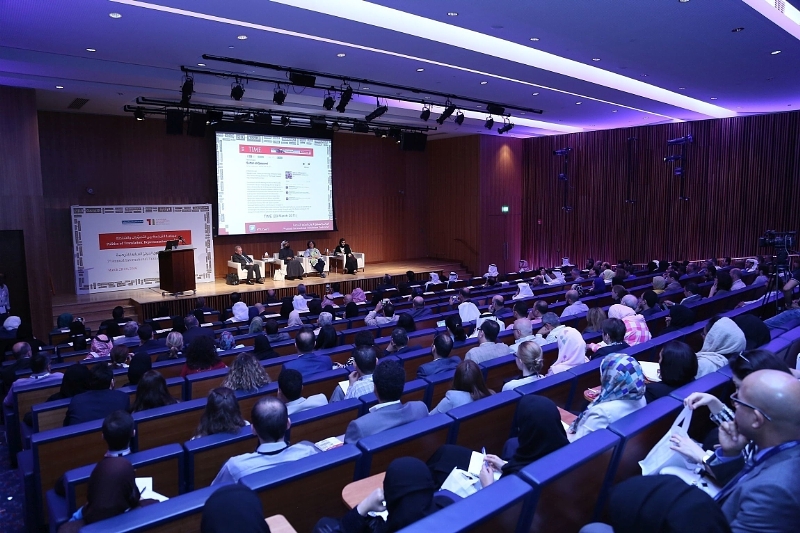 This year’s conference seeks to highlight the crucial role translators and interpreters play in building capacity within contemporary society, with a focus on Qatari society and other societies in the Arab world more broadly. The thematic areas for the Eighth Annual International Translation Conference include, but are not limited to, the role of translators and interpreters in the community; achievements in history, linguistic innovation and language policies, and translator and interpreter education and training. Suggested sub-topics to explore include the role of interpreters and translators in conflict zones, political, ethical, and economic facets of narration, community interpreters in healthcare, legal, and activist settings, technology as challenge and opportunity, and assessment of terminology tools such as databases, and AVT and interpreting technology. Papers submitted that highlight the contributions of translators and interpreters in enhancing human and social development in Qatar and the region will be given a special focus, however, submissions that offer reflections or analysis on other regions are also welcome. Submissions of abstracts should be between 250 to 300 words, in either English or Arabic, the official languages of the conference. Submissions must also include the applicant’s institutional affiliation, contact information and a short bio of no more than 100 words. The deadline for submission of papers is October 30th, and applicants will be notified byNovember 27th. Selected attendees will have an opportunity to present their papers at the conference in the course of 20 minutes, and respond to questions posed by their peers and/or the audience over a 10 minute period. Those interested in submitting a proposal to the 2017 Conference are encouraged to consult the submission website for further information at http://tii.qa/8th-annual-international-translation-conference. Hamad bin Khalifa University (HBKU), a member of Qatar Foundation for Education, Science and Community Development, is an emerging research university that is building its foundation upon unique collaborations with local and international partners. Located in Education City, HBKU delivers undergraduate and graduate programs through its College of Science and Engineering, College of Law and Public Policy, College of Public Health, Qatar Faculty of Islamic Studies, and its College of Humanities and Social Sciences. It also provides unparalleled opportunities for research and scholarship through its research institutes, and its Center of Executive Education delivers customized programs for the business community ofQatar and the region, in line with Qatar National Vision 2030.